A competition to find Bury St Edmunds’ favourite independent business has been won by one of the newest boutiques in town. 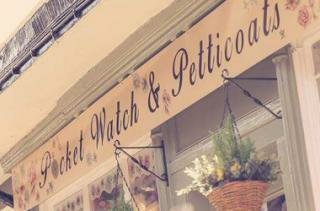 Pocket Watch and Petticoats was voted the winner in the competition sponsored by community radio station RWSFM. Runners up were Raspberry Rascals and Buy the Light. Ourburystedmunds Independents’ Week runs until Sunday July 10. Details of all the independent businesses can be found at www.ourburystedmunds.com.